By now, businesses should have started preparing for the United Kingdom’s exit from the European Union. Instead, they are left playing a guessing game on what the final outcome will be. Indian businesses operating in the EU will be pondering their fate too. The guessing game took a new dimension last night, after the British Parliament rejected the government’s Brexit plan with 432 votes against compared to 202 votes for the plan. The margin of defeat suggests that the current plan is dead in the water. If this means uncertainty, the options ahead don’t help clear the fog. A renegotiation of the deal means going back to the European Union and cobbling together a deal that is acceptable to a larger number of UK lawmakers and to the European Union itself. That is doable but is difficult. Doing nothing is the easy option, but that will mean a no-deal Brexit, and the consensus is that this is the worst option. A second referendum to vote again on Brexit is another option. If the outcome is a no Brexit situation then the status quo will prevail, which is perhaps the best outcome for investors. But a second referendum is not on the table now and will also cause political uncertainty in the UK. And, what happens if the vote is for Brexit? The only thing that appears a bit more certain is that the 29 March deadline for Brexit may have to be extended. That Brexit will have implications for business is known, but its implications are far from clear. Consider how the pound behaved after the Brexit vote. The wide belief was that a failed vote will see the pound fall. But it actually gained. That’s just one sign that there is no playbook to refer to. How should Indian investors react to these developments? The only sensible thing to do now is to wait and watch. If you have an unusually high exposure to companies that get a large share of their revenues from the European Union, it could be time to reconsider that. Indian business will have two kinds of exposures. There is trade exposure via exports to the UK. Some major exports from India to the UK include travel, software, engineering, pharmaceuticals, textiles and gems and jewellery, according to a Deloitte report. How the break-up affects the ability of Indian companies to export on the same terms will determine its eventual impact. Of greater interest to investors is the direct exposure that companies such as Tata Steel and Tata Motors have, who operate in these markets. There are pharmaceutical companies and automobile component companies with direct operations in these markets. If Brexit hampers their ability to supply to the UK or buy from the UK, on existing terms, that could affect their performance. A stronger pound also affects UK-based companies’ ability to compete with imports. A Deloitte report that assessed the impact of Brexit on Indian business talks about two broad effects. One is that the pound could weaken versus the USD, due to the UK running a current account deficit and requiring investment inflows to fill the gap. This could affect those companies that earn in pounds. The impact on growth will be felt over a longer term, over a number of years, and a slowdown in growth of the UK and the EU. 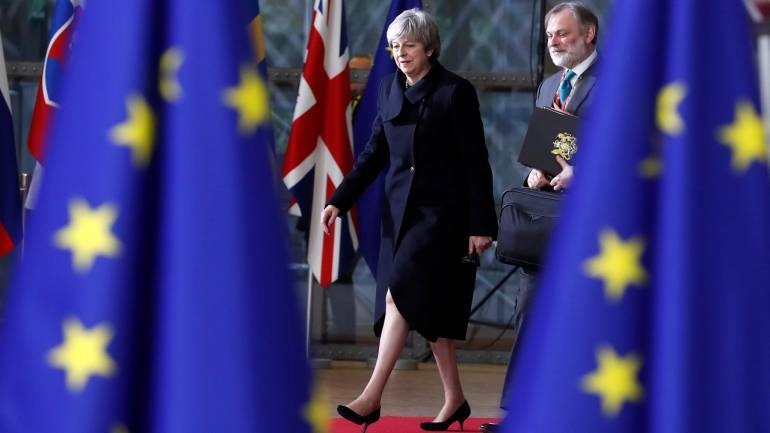 The next few months will see alternate scenarios for Brexit being explored and politicians in the UK and EU attempt to stitch together a new deal. There will be those who will take hard stances as well. Investors should be prepared for wild swings from hope to despair in this period. Worse, the European economy is already showing signs of a slowdown and the fourth quarter is expected to show an industrial slowdown in play. While the politics of Brexit play out among political parties, investors around the world, including India will be on tenterhooks till the final moment.